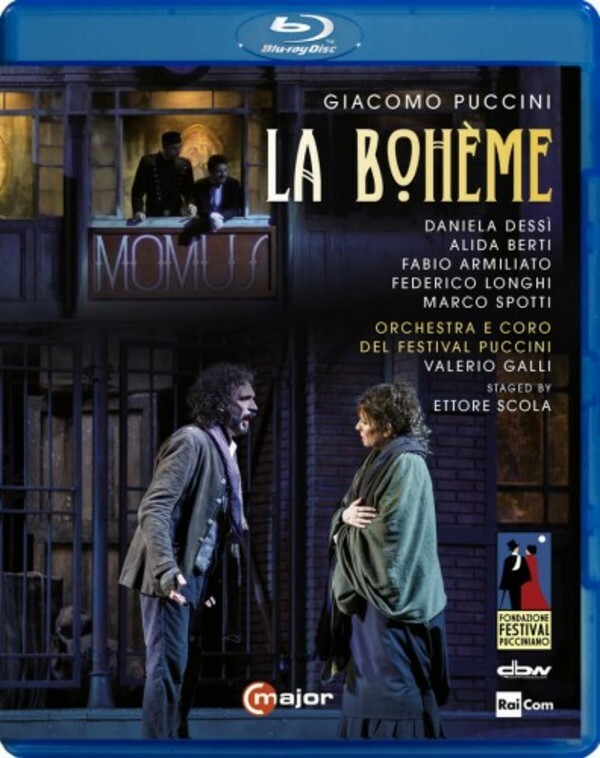 Puccini's masterpiece La Bohème is by far the most represented opera in the world. At the famous Puccini Festival in Torre del Lago, where Puccini composed his main operas, La Bohème is directed by one of Italy’s greatest film directors: Ettore Scola, the creator of a high number of award-winning seminal films. As he explains in the programme notes, as soon as he was approached to stage La Bohème he had to fight hard to resist the temptation to give life to his “revolutionary” ideas; in the end, he decided for a traditional-looking, rich, grandiose and detailed Bohème. Together with the exceptional cast of Daniela Dessì, Fabio Armiliato, Alessandro Luongo, Marco Spotti and Alida Berti, this production makes for an incomparable great performance.